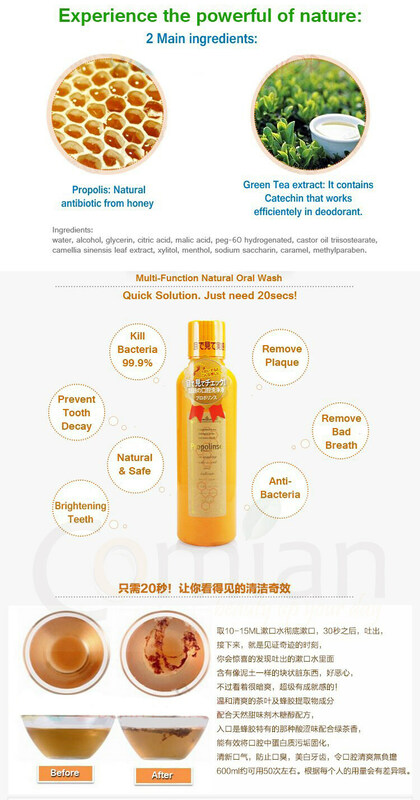 Japan best seller Propolinse mouth wash which contain catechin from green tea extract and propolis from honey. It is contain honey which removes bacteria, bad breath, and plaque, brightens teeth, and prevents tooth decay. It is best seller in Japan which you see it anywhere in cosmetic shop. It is suitable to use for kids also.